The Society for Creative Anachronism (SCA) is an educational organization dedicated to reproducing and exploring the very best aspects of pre-17th century cultures. 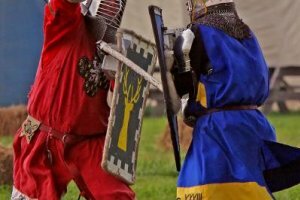 Join members of the SCA’s Shire of Nordenhal for family-friendly activities and discussion on period clothing, calligraphy, armored combat, fencing, archery, dancing and other countless activities of interest. Catapult model firing, inkle-loom weaving, sword and shield combat and diverse arts will be demonstrated throughout the day.